Indigenus, the largest independent global network of entrepreneurial healthcare creative agencies, today announced that CPC Healthcare Communications, based in Toronto, Canada, is now a member of the Indigenus family. NEW YORK, New York, August 28, 2012—Indigenus, the largest independent global network of entrepreneurial healthcare creative agencies, today announced that CPC Healthcare Communications, based in Toronto, Canada, is now a member of the Indigenus family. 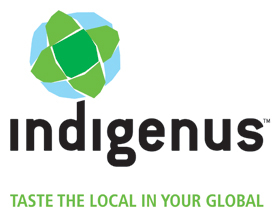 The Indigenus network spans major and emerging global markets, providing pharmaceutical and healthcare companies with innovative multichannel global branding, advertising, medical education, and medical communications. Local agency partners collaborate closely from prelaunch through life-cycle management, blending insights and creativity from across the globe, a process Indigenus calls global fusion branding. CPC Healthcare, an independent agency representing the Canadian market, is the newest partner in the Indigenus network. “CPC has been a force in Canadian healthcare advertising for nearly 15 years, so it was fulfilling for us to have that acknowledged in this way,“ offered Kevin Bell, one of CPC’s 4 managing partners. “Being invited to join this esteemed group of like-minded professionals is a tremendous compliment to our very talented team." Chris McEvenue, another CPC managing partner, said, “Our industry is changing dramatically, so this alliance enables us to keep pace with innovative approaches on a global level. We’re particularly excited to bring our unique and award-winning creative perspective to a much larger and more diverse audience. We’re looking forward to being able to share with other agencies, without them being competitive. We’ve been fortunate enough to have some of our work adapted around the world, so we believe we’ll bring a lot to the table,” said Mr. McEvenue. Rico Viray, Chairman of Indigenus, remarked, “CPC was responsible for their client at UCB being awarded “Best of the Best” internationally. Awards from your peers are nice. Awards from your clients are priceless. It’s representing that level of value for clients that makes CPC a perfect complement to our global partnerships." Indigenus global network Indigenus is the largest independent global network of entrepreneurial healthcare creative agencies with multichannel capabilities. Indigenus was formed in 2004, and became an agency-owned limited liability company (LLC) in 2010. The network provides 100% global coverage, with 15 agencies serving major and emerging markets: The CementBloc (USA), PAN Advertising (UK), umbilical (Spain), Strategik & Numerik (France), Serviceplan Health & Life (Germany), thenewway (Italy), g Healthcare (Turkey), Marketing Latino (Mexico), Sorento Healthcare Communications (India), PharMa International Inc (Japan), Thanks Comunicação (Brazil), Lindh & Partners (Sweden), Micó & Asociados (Argentina), Insight (Australia and New Zealand), and CPC (Canada). In addition, Indigenus is currently credentialing potential agency partners in China. Secondary markets are served by the Worldsourcing Initiative (WIN), which centralizes rollout to drive brand consistency and cost-efficiency. Visit www.indigenus.net to learn more.